Thanks to the internet, applying for business loans has never been easier. Whether it be to pay rent for your storefront or help your business comply with new orders, a sum of cash to help your business grow is crucial to business owners. However, getting approved for a business loan isn’t the quickest process for most small business owners. Unfortunately, most of the time it’s simple, avoidable mistakes that cause business owners to get denied loans. 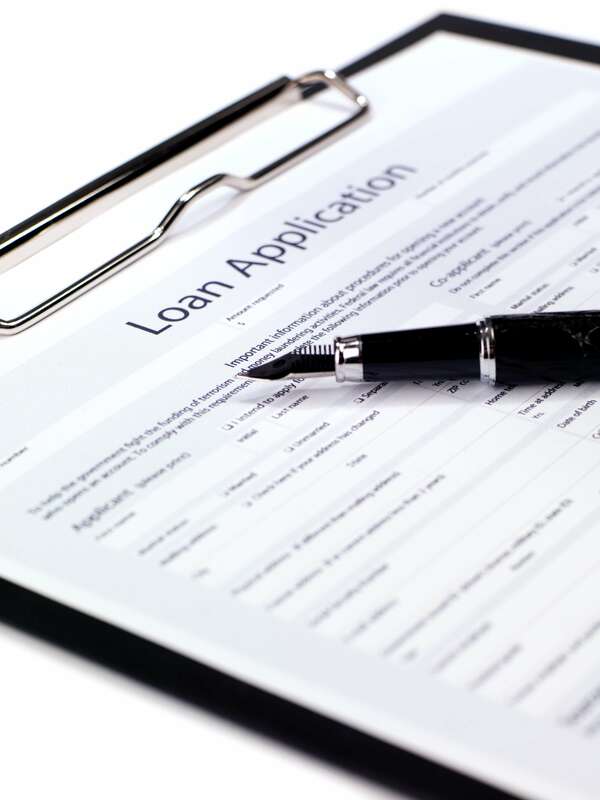 Below, we’ll go over five of the most common avoidable mistakes that you should avoid to quicken your approval time for your next business loan application. You may have the best business plan in the world, but it’s nothing if you don’t have your finances sorted out, your lender won’t be willing to work with you. Besides checking over your credit score, lenders will check your most recent bank statements, tax returns, as well as your profit and loss statements. After all, they want to work with a client with decent cash flow that will help them pay back the loan. Fortunately, most documents can be prepared for a lender via business accounting software, such as QuickBooks. However, we also suggest hiring a professional business accountant that will make sure your finances are in order before submitting your loan application. Just keep in mind, any differences between your tax returns and bank statements can lead to a loan denial, so it’s important to make sure everything is accurate. When applying for a business loan, your credit scores will be one of the leading factors in determining whether your application is approved or declined. As long as your credit scores are over 700, you’ll have no problem getting your loan application approved. If it’s under 600, you’ll have a much more challenging time getting approved, in addition to increased interest rates for your loan term. This is why it’s important to keep tabs on your credit scores through the three main reporting agencies: Equifax, Experian, and TransUnion. They offer one free report a year, so you can account for any mistakes on your reports and get them disputed. Before you apply for a business loan, you will also need to have a detailed and strong business plan. Many business owners begin the application process without any formal business plan or only a flimsy one. This is a huge mistake. Though you may know exactly what your business will do, if you do not have it in writing, lenders will not be able to help you. How will it make cash? How much projected revenue will you make? Be sure to provide detailed answers to these and other pertinent questions in your written business plan. If you do not, the lender will not be able to determine what your intentions are, if your plan is thorough, or if your business is likely to succeed. If they are unable to consider these factors, then they will not approve your loan. This is especially important if your business is relatively new. Another common mistake that business owners make is applying for the wrong kind of business loan product. When you think about a small business loan, you probably imagine receiving a lump of money and having to pay it back on a monthly basis in even installments. However, this type of loan is only one of the many available to business owners. Plus, they are not necessarily the correct choice. You may plan on using the money to cover a variety of expenses over time instead of using the loan to make a single purchase. If this is the case, you would be better off with a business line of credit. This would give your business access to the money that it needs for operation but without the interest payments. Are you buying equipment like computers or manufacturing machines for your business? You should consider applying for an equipment loan. This type of loan is similar to a traditional car loan and usually comes with better payment terms and interest rates. Additionally, you do not typically need any collateral for this sort of loan. If you are experiencing a short-term cash flow problem, you should think about obtaining a short-term loan. Sometimes, these problems can be caused by clients who have not paid their invoices on time. In this case, consider invoice financing to help you through this rough patch. There are many different options available to small business owners who need cash. The best product for you depends on how you plan to use the money and your business specifics. Before applying for any loan, make sure you research all of the options available to you. After signing the loan agreement, you are fully responsible for upholding all of the terms of the loan. This is the reason why you should read everything carefully. By doing so, you can avoid agreeing to something that you do not agree with or do not understand. Make sure you fully understand the interest rate, repayment schedule, fees and penalties, total cost, and liabilities if you fail to meet the loan terms. You can learn about all of these factors in the fine print of the loan agreement. Ask your broker or lender questions about anything you do not understand before you sign the agreement. You should also discuss any reservations you have, too. This way, you can be totally confident in the terms of the agreement and your ability to meet them.